Having a beautifully-scented home is a bit of an obsession of mine. Whether it's the fresh, post-Saturday cleaning smell when sheets have been changed, floors mopped and wood polished, the aroma of a particularly beautiful bath oil wafting along the hall after a hot bath, or a deliciously rich casserole in the winter, there will never be a moment when I'm not aware of the smell of my home. Cristal is currently in my hallway and provides a beautifully rich, spicy, chypre scent. A very seductive, sophisticated fragrance and the diffuser lasts an amazing six months. The ultimate scent to relax and revitalise body and mind. Glamorous, sensual Noir combines exotic amber and fresh, fruity mandarin with sophisticated oriental white orchid. Combining all the benefits of revitalising ginseng and stimulating green tea, these wonderfully relaxing and restorative treats will re-energise body and mind to promote a deep sense of wellbeing. 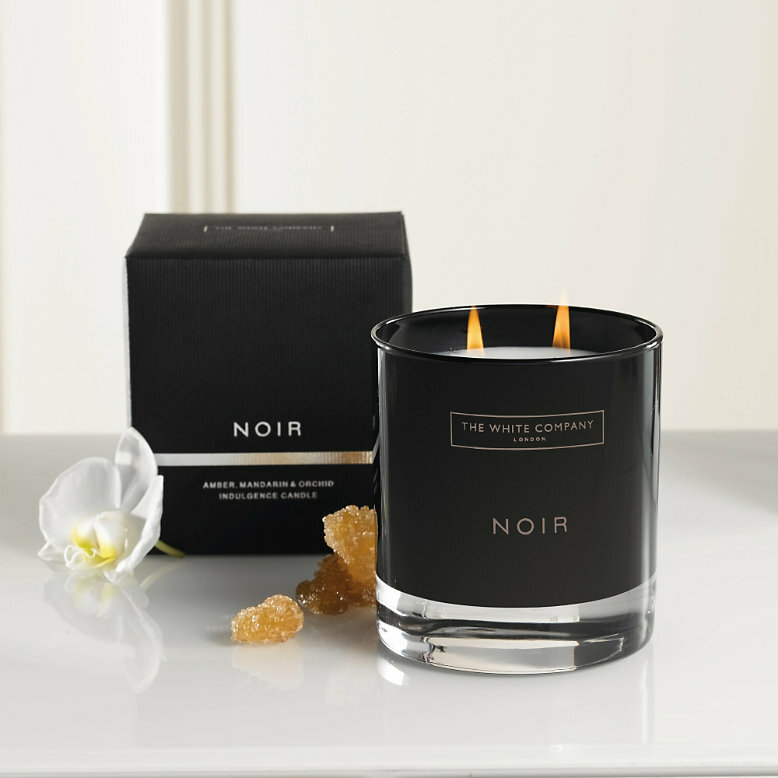 I've never found it difficult to spend time in a candlelit bath but the combination of the Noir bath oil and candle make me feel like I've been transported to a luxurious spa, and hour long baths have become a nightly experience. Possibly one of my most favourite fragrances, and it is just as relaxing as they describe. Jasmine was my first Bahoma fragrance and is still very much loved. Given that I have an open-plan sitting and dining room, it's important not to have a scent that dominates. This provides the perfect gentle floral that is so delicate, it just blends perfectly to create a wonderfully relaxing environment.